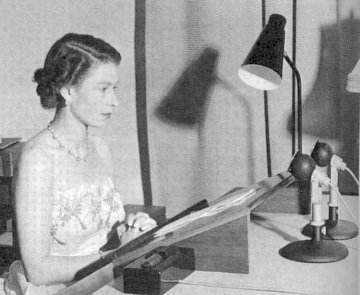 Princess Elizabeth was on holiday visiting Kenya in central Africa when news broke that her father, King George VI had died, and she assumed the throne on February 6 1952. Her coronation as Queen Elizabeth II took place the following year, 1953. It was less than five years since the mighty Indian Empire - the jewel in the crown of the British Empire - had been granted independence and split into the individual states of India, Pakistan, Burma and Ceylon. The Second World War had ended barely six years earlier and Great Britain was facing the reality that its days of Empire and dominion over many parts of the world so colourfully painted red on school atlases was over. 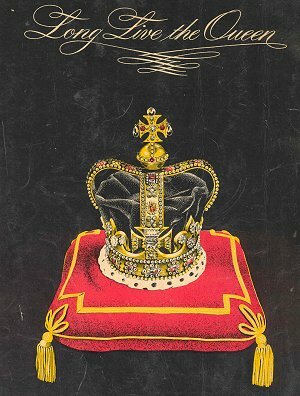 Within a decade of the coronation, many former African, Asian and West Indian colonies would have declared independence, with many others about to follow suit, and the word 'British' would soon disappear from the title British Commonwealth. Elizabeth herself was soon to be removed from her position as Queen to millions in the new republics, including the bastion of South Africa which Great Britain had gone to war over only sixty years earlier. But, for now, Queen Elizabeth II was ruler of such lands as Bechuanaland, British Somaliland, British Honduras, British Solomon Islands Protectorate, Aden, The Gambia, the Gold Coast, Hong Kong, Jamaica, the Gilbert & Ellice Islands and many other far flung outposts of a now fading Empire. Australia, Canada and New Zealand, the 'old dominions', stood proudly with their new Queen. 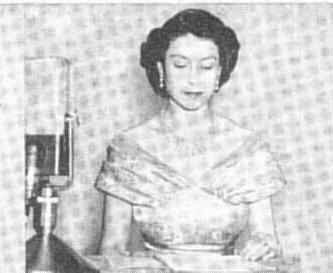 Let's visit the British Commonwealth as the young Queen Elizabeth II would have found it, and imagine we're listening in to the sounds of a radio magically sweeping across the dial and across her world and picking up the sounds of her realm in 1952-1953. 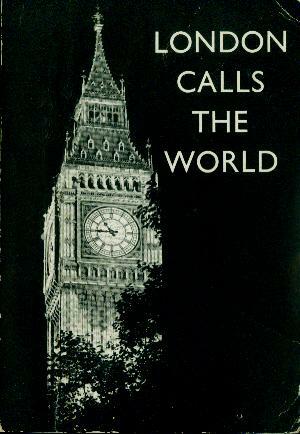 From the stalwart anchor of the BBC in London, the chimes of Big Ben and the BBC News regularly filled millions of homes from Nairobi to New Plymouth, from Port Stanley to Port Vila, from Sydney to Singapore, from Charlottetown to Calcutta, from Aden to Zanzibar and thousands of great cites, towns, villages, small outposts and lonely homes across the globe. 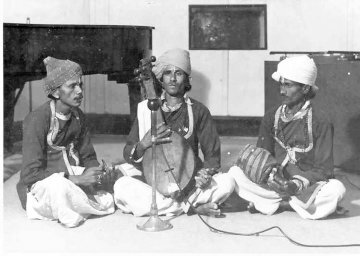 From studios in Madras, Penang, Jesselton, Wellington, Perth, Suva, Hamilton, Port of Spain, Salisbury, Accra, Lagos, Victoria, St. John's, Mafeking, Georgetown, Port Elisabeth and numerous other locations could be heard the local voices, local music and the many colorful voices of the British Commonwealth. 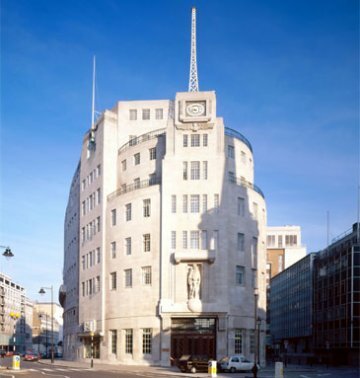 The British Broadcasting Corporation [BBC] was located at Broadcasting House, Portland Place in London and broadcast a variety of non-commercial services for domestic audiences in England, Northern Ireland, Scotland and Wales, the Channel Islands and the Isle of Man. The Home Services were then known as the London, Midland, Northern, Northern Ireland, Scottish, Welsh and West programmes on AM; there was also the Light Programme on long wave and AM and the Third Programme on AM and experimental FM. 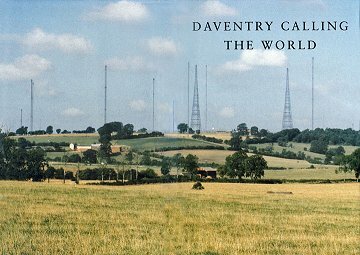 Individual shortwave frequencies used individual call signs such as GRB, GSA, GWX, MCQ and many others from massive transmitter sites such as Daventry. 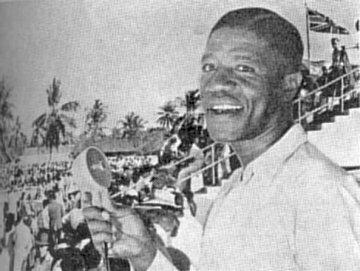 The General Overseas Service of the BBC broadcast to the British Commonwealth as follows: Australia, New Zealand, South East Asia, India, Pakistan, Ceylon, East Africa, Malta, Central Mediterranean, Central & South Africa, North Africa, West Africa, Gibraltar, Canada, West Indies, Central America, South America. The Pacific Service was directed at Australia & New Zealand; the Far Eastern Service at North China [Hong Kong], the Eastern Service at India, Pakistan, Ceylon, the North American Service covered Canada and individual services were also beamed directly at East Africa, Mauritius, West Africa, Central & South Africa, Malta, Falkland Islands, and the West Indies. 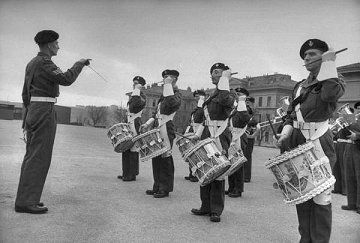 The English language programmes of the European Service of the BBC on AM and shortwave were also directed at British forces in locations such as Austria, West Germany and the Free Territory of Trieste. 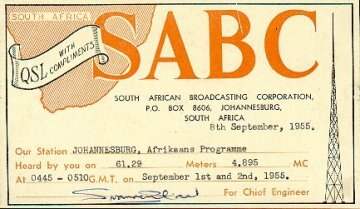 The largest British Commonwealth broadcasting system on the continent was located at Johannesburg in the Union of South Africa, where the South African Broadcasting Corporation offered English, Afrikaans and Commercial [Springbok Radio] services on AM and shortwave for domestic audiences from major cities and towns. There was also a small African service in English and Afrikaans on shortwave, and an experimental service in English on shortwave from Johannesburg for South West Africa. 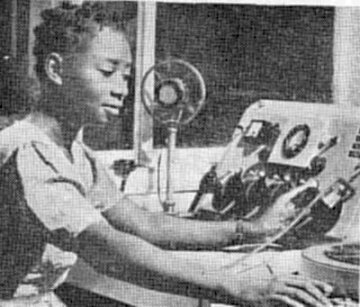 The Central African Broadcasting Station ZQP in Lusaka, Northern Rhodesia broadcast in English and several vernacular languages on shortwave, whilst broadcasts from Salisbury in Southern Rhodesia were entirely in English on AM and shortwave. From Mafeking in the Bechuanaland Protectorate, a small low power shortwave radio station ZNB broadcast in English with news relayed from Johannesburg. In East Africa, the Cable & Wireless Broadcasting Service broadcast from Nairobi in Kenya, with English on AM and shortwave, and African and Indian languages on shortwave only from VQ7LO. A British Forces Broadcasting Station in Nairobi also operated on both AM and shortwave. In the Uganda Protectorate, the small Kampala Broadcasting Station broadcast in English on both AM and shortwave, whilst in the Tanganyika Trust Territory, Radio Dar es Salaam was heard in English and Swahili on both AM and shortwave. Just off the coast of Tanganyika, Radio Zanzibar broadcast on shortwave in Swahili from the Zanzibar Protectorate. Off the east African coast, the Mauritius Broadcasting Service could be heard from the island of Mauritius with broadcasts in English, French, Indian, Cantonese and Akka on both AM and shortwave. A low power shortwave station ZCQ3 broadcast in English and French from Victoria in the Seychelles. Radio Somali VQ6MI was on the air on shortwave in Somali from Hargeisa in the British Somaliland Protectorate across the straits of Aden from where a Cable & Wireless station was only on the air for special events on AM and shortwave for 'up country'. In West Africa, the still small Nigerian Broadcasting Service from Lagos, Nigeria operated services in English and several vernacular languages on shortwave, with two additional regional shortwave services at Enugu and Kaduna. From the Gold Coast, the Gold Coast Broadcasting Service ZOY from Accra, broadcast on shortwave with programmes in English and vernacular languages. A British Forces Broadcasting Station could also be heard on shortwave across North Africa and the southern Mediterranean from Tripoli in Libya. From Great Britain, the General Overseas Service on shortwave of the BBC in English was directed to the colonies and territories in East Africa, Central and South Africa, North Africa and West Africa with additional special shortwave services to East Africa, Mauritius, West Africa and Central and South Africa. 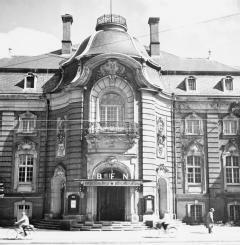 British Forces Network stations operated from Graz in Austria on AM and from Hamburg in West Germany on AM and FM. A British Forces Radio Station also broadcast on AM from the Free Territory of Trieste on the border of Italy and Yugoslavia. From Cyprus another British Forces Broadcasting Service station broadcast from Nicosia on AM, whilst the Cyprus Broadcasting Service operated on AM with programs in English, Greek and Turkish. The Near East Arab Broadcasting Station ZJM broadcast commercial programs on shortwave in Arabic from Limassol. From Great Britain, the General Overseas Service on shortwave of the BBC in English was directed at Malta, Central Mediterranean and Gibraltar with an additional special shortwave service to Malta in Maltese. All India Radio broadcasting from New Delhi offered a variety of domestic regional services in English and regional languages across India on AM and shortwave from stations VUB Bombay, VUC Calcutta, VUD Delhi and VUM Madras as well as Mysore. A comprehensive External Service from New Delhi broadcast in English, regional and foreign languages to Pakistan, Fiji, West Indies, East Africa, North Africa, South Africa, Mauritius, East Asia, South East Asia and Great Britain. An equally comprehensive domestic service was operated in Pakistan by Radio Pakistan from Karachi with English and regional languages on AM and shortwave including networks for both East and West Pakistan. An International Service in English and regional languages beamed to East Africa, South Africa, South Asia, South East Asia and Great Britain. From Kashmir there were local broadcasts on AM and shortwave from Radio Kashmir in Srinagar and Jammu, and Radio Murree broadcast on shortwave. 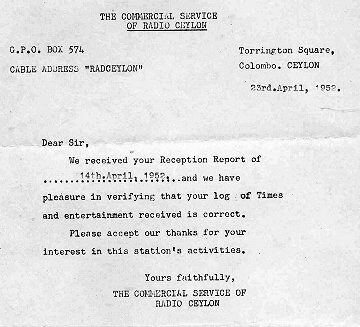 Meanwhile, from Radio Ceylon located at Colombo, Ceylon a national service in English, Sinhalese and Tamil operated on AM and shortwave whilst a popular commercial service on AM and shortwave broadcast in English, Sinhalese, Tamil and Hindi for Ceylon, India, South East Asia, and Africa. A Voice of America relay station also operated on shortwave from Ceylon. 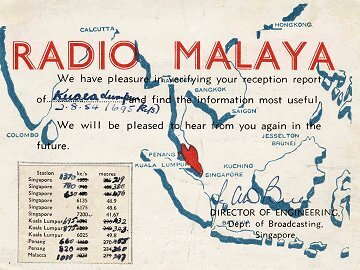 In South East Asia, an extensive local service was broadcast on AM and shortwave from Radio Malaya, operating from Singapore in Malaya with programs in English, Malay, Tamil and Chinese. A British Forces Broadcasting Service in Singapore also broadcast on shortwave with programmes in Gurka and Nepalese dialects. 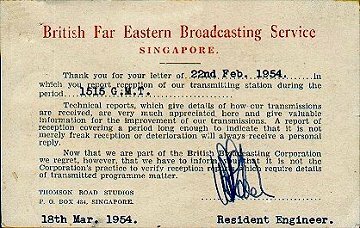 Also in Singapore was the British Far Eastern Broadcasting Service which relayed on shortwave the General Overseas Service of the BBC and the Far Eastern and Eastern Services of the BBC including programmes directed at India, Pakistan, Ceylon, Hong Kong, Malaya and South East Asia in English and regional languages. In North Borneo, Radio Sabah VS4S was heard on shortwave from Jesselton. 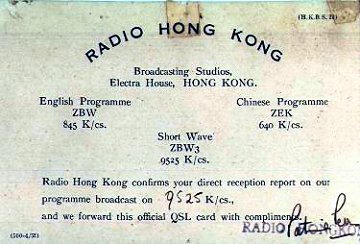 A British Commonwealth Force radio station operated on AM and shortwave from Kure, Japan whilst Radio Hong Kong ZEK and ZBW broadcast in English and various Chinese languages on AM and shortwave from Hong Kong. 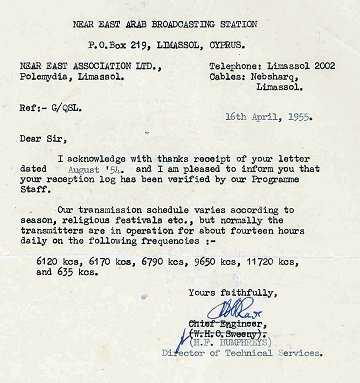 From Great Britain, the General Overseas Service on shortwave of the BBC was also directed in English at South East Asia, India, Pakistan and Ceylon. 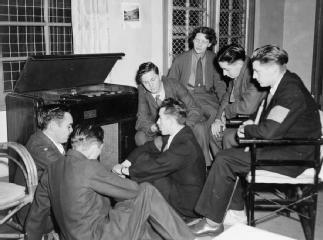 Australia had a variety of national and local radio services covering all states and territories including Papua. 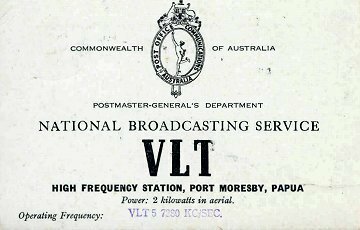 The Australian Broadcasting Commission from Sydney operated an AM service, and a domestic shortwave service with regional stations VLI Sydney, VLH and VLR Melbourne, VLM and VLQ Brisbane, and VLW and VLX Perth, as well as VLT Port Moresby for Papua and New Guinea. An experimental service broadcast on FM. Radio Australia broadcast on shortwave from VLA, VLB, VLC and VLG in English, French, Thai and Indonesian with services directed at South Asia, South East Asia, Commonwealth Forces in Japan and Korea, the South Pacific, and Great Britain. Many private commercial AM radio stations broadcast from metro and country locations across the island continent. 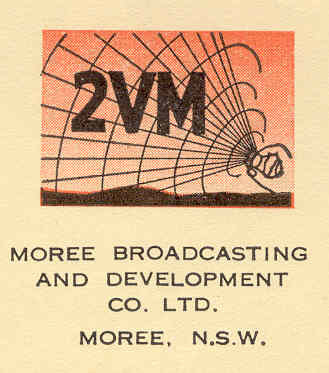 From New Zealand a mixture of local non-commercial and commercial AM stations operated by the New Zealand Broadcasting Service covered the country, whilst a small shortwave station Radio New Zealand [ZL series] broadcast in English to Australia and the South Pacific. Fiji was home to the Fiji Broadcasting Commission ZJV in Suva operating on AM and shortwave in English, Fijian and Hindi. Radio 2AP broadcast on AM and shortwave in English and Samoan from Apia, Western Samoa and Radio Station VQO operated on AM from Honiara in the British Solomon Islands Protectorate. 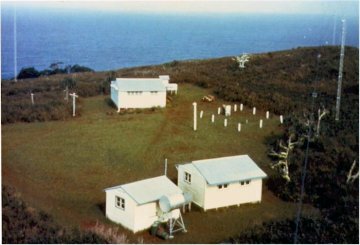 Isolated Pitcairn Island was home to Radio ZBP broadcasting on a maritime channel and via shortwave and often relayed by stations in California. 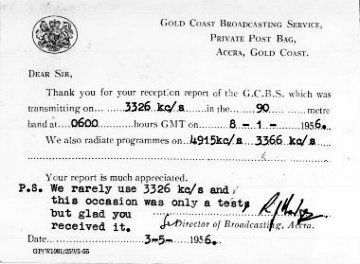 From Great Britain the General Overseas Service on shortwave of the BBC was directed in English at Australia, New Zealand and the North West Pacific and the Pacific Service was beamed in English to Australia and New Zealand. 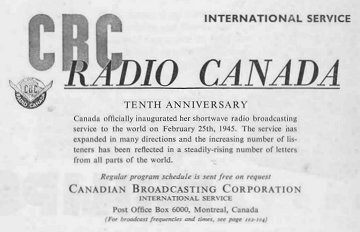 Canada also had a variety of services, with the Canadian Broadcasting Corporation broadcasting a Home Service in English and French on AM and shortwave, and a Northwest Territories and Arctic Settlements Service on shortwave. Radio Canada broadcast on shortwave with services for the Caribbean and Australia including Canadian forces in Korea and Europe also for Canadian forces in West Germany. Many private commercial radio stations also broadcast across Canada, mainly on AM with several shortwave relays from Newfoundland to British Columbia. On the island of Bermuda the Bermuda Broadcasting Company ZBM1-ZBM2 provided private commercial services from Hamilton in the mid-Atlantic. In Barbados the Cable & Wireless Ltd station ZNX32 broadcast international cricket, tennis and turf club race meetings on shortwave for Trinidad, British Guiana and Jamaica. 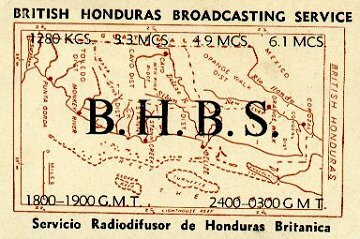 From Central America the British Honduras Broadcasting Service ZIK2 broadcast on AM and shortwave in English from Belize in British Honduras. A private commercial station, Radio Jamaica ZQI broadcast programmes on both AM and shortwave from Kingston in Jamaica. In the Leeward Islands, Radio Montserrat broadcast on low power shortwave from Plymouth on the tiny volcanic island of Montserrat. 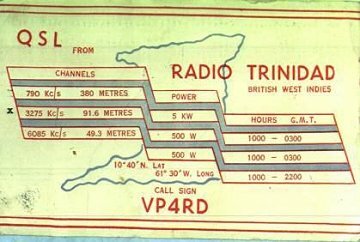 At the southernmost end of the Caribbean island chain, the commercial Trinidad Broadcasting Company VP4RD broadcast on AM and shortwave from Port of Spain in Trinidad & Tobago including programmes for the West Indies. 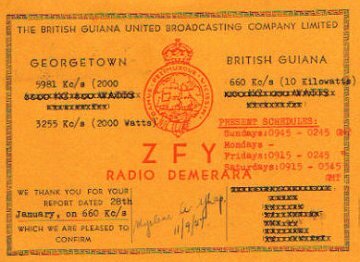 Radio Demerara ZFY served the British Guiana enclave on the northern coast of South America from Georgetown with programmes in English on AM and shortwave. Off the south-eastern coast of South America, the Falkland Islands Broadcasting Station from Port Stanley, Falkland Islands could be heard on AM and shortwave. From Great Britain the General Overseas Service on shortwave from the BBC was beamed in English towards listeners in Canada, West Indies, Central America and South America with special shortwave services to the Falkland Islands and the West Indies and the North American Service in English and French to Canada. “Through one of the marvels of modern science, I am enabled, this Christmas Day, to speak to all my peoples throughout the Empire. 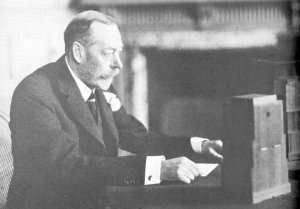 "I take it as a good omen that wireless should have reached its present perfection at a time when the Empire has been linked in closer union, for it offers us immense opportunities to make that union closer still. Additional Resources: The Classic Shortwave Broadcast QSL Page has a useful collection of images from broadcasters around the globe in the mid-1950’s era, “Broadcasting on the Short Waves 1945 to Today” offers a sweeping view of the world of shortwave radio in the 1950’s and detailed yearly accounts of what was heard; the World Radio TV Handbook annual issues for 1952-1954 provide detailed data on individual broadcasters of the period.